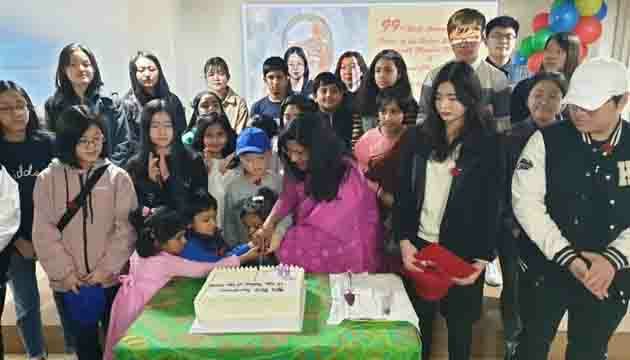 The 99thBirth Anniversary ofthe Father of the Nation Bangabandhu Sheikh Mujibur Rahmanand National Children’s Day 2019 was celebrated by the Embassy of Bangladesh in Seoul with due fervor and festivity participated by more than fifty Korean children. 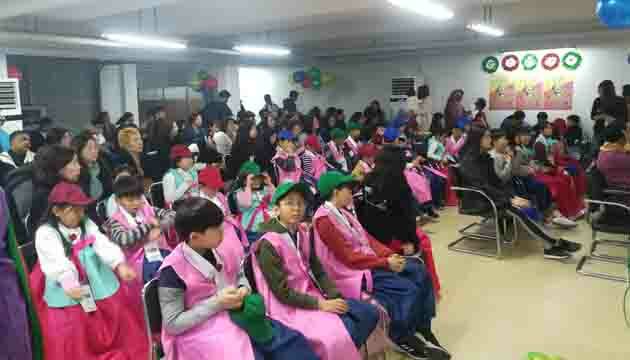 The main objective of the event was to familiarize Bangabandhu among the new generation of Koreans. 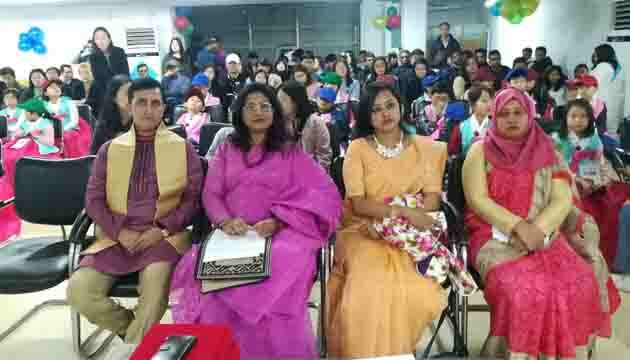 Besides the students fromHanikhwan Museum and Hugh O’brian Youth Leadership, Bangladeshi students and their guardians and expatriate Bangladeshis also attended the event. The Embassy took up a detailed programme on this colourful festive event. 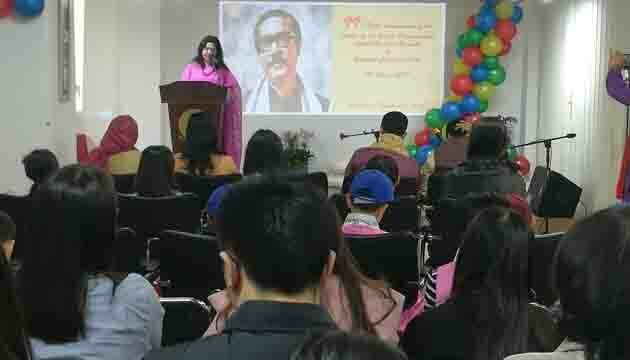 The programme included reading out of the autobiography of Bangabandhu ‘The Unfinished Memoirs’, speech, art and quiz competition, all meant for the children. The Embassy was decorated with colourful balloons and pictures of Bangabandhu. Theprogramme commenced with the singing of the national anthems of Bangladesh and Republic of Korea. Then verses from Holy Scriptures and messages from the Hon’ble President, Hon’ble Prime Minister, Hon’ble Foreign Minister and Hon’ble State Minister for Foreign Affairs were read out. Then Bangladeshi and Korean children read out from The Unfinished Memoirs. 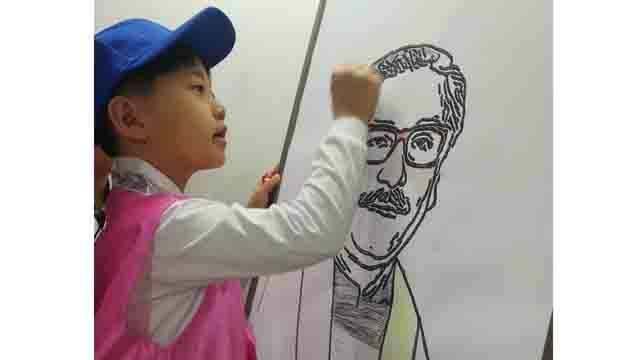 In their speeches, the Korean children expressed their love and respect for Bangabandhu. On the other side, the children had active participation in the quiz competition. The children were able to know about the life of Bangabandhu and the present-day Bangladesh participating in the quiz competition. Similarly, the children expressed their love for Bangabandh ucolouring the portrait of him. Her Excellency Ambassador Abida Islam then distributed the prizes,books on the Liberation War,among the winners of the quiz competition, and cut the cake with the cheerful children. The Ambassador also distributed certificates to the goodwill ambassadors, appointed by the Embassy, who will promote Bangladesh in Korea. 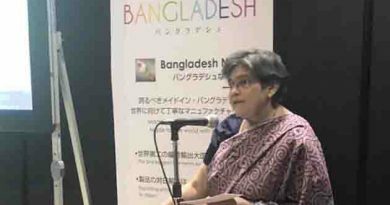 In her concluding remarks, the Ambassador paid rich tribute to the Father of the Nation Bangabandhu Sheikh Mujibur Rahman. She said that Bangabandhu materialized the dream of Bengalis foran independent country. She also inspired the attending children to become enlightened by learning from the life of Bangabandhu. The last segment of the event was acultural performance by the children which had song, dance and recitation. The programmefinally ended with a dinner with traditional Bangladeshi food. 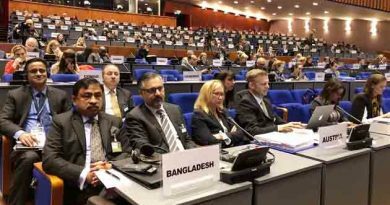 Bangladesh elected as a Member of Bureau of the International Criminal Court for the next two years (2019-20). 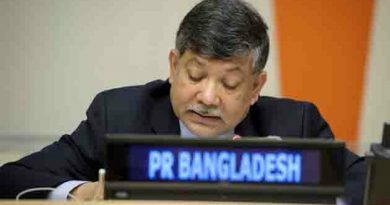 We have to protect our heritage, our culture, our existence says Ambassador Masud Bin Momen, the Permanent Representative of Bangladesh to the UN. 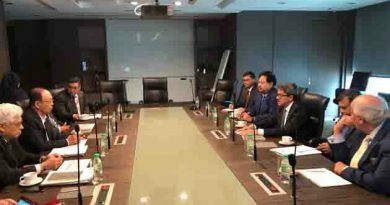 Bangladesh participates in the Fashion World Tokyo fair.